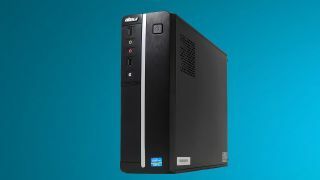 NeweggBusiness has debuted a slew of desktop PCs specifically designed for enterprises engaged in the sector that will be ready for Windows 10 when it is released this summer. The ABS N-Series comes in five different configurations that all pack an Intel Core i5-4590 (Haswell) quad-core chip clocked at 3.3GHz with the level of RAM and SSD capacity deciding how much each one retails at. "NeweggBusiness is squarely focused on serving SMB and education customers. These are underserved markets within the e commerce space and our products allow them to operate more efficiently," said Merle McIntosh, VP NeweggBusiness North America. Each PC has a Samsung solid state drive (SSD) that has a capacity of either 120GB or 250GB depending on the model with the top of the range model coming with a 120GB SSD plus a 1TB hard-disk drive. When it comes to memory the range has 4GB or 8GB of DDR3 RAM and as far as monitors go it has three types of connection that will keep a multitude of users happy. There is also the usual array of ports including USB 3.0 connections, a Logitech keyboard and mouse, and a copy of Windows 7 Pro that will be upgradeable to Windows 10 as soon as it's released. It also had integrated Intel HD Graphics 4600. The ABS N Series will be ready to ship in late-May, prices starting at $649 and ranging up to $739 for the most powerful model.